Rocky Point Care Center is a premier skilled nursing facility located in Lakeport, California. We specialize in providing 24-hour Skilled Nursing and Inpatient Therapy Services to our surrounding communities. Our rehabilitation services are given on site to help our residents regain their independence and return to their homes. Choosing the right facility is an important decision. Providing a warm and welcoming transition is our goal. We focus on the physical, mental, social, spiritual and emotional needs of each resident. Our accommodations are coordinated with the resident in mind. 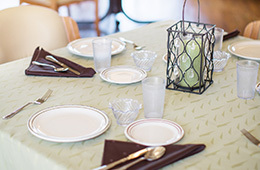 We realize that each resident requires a different level of care. Our residents are assessed upon admission and customized care programs are designed to meet the needs of each individual. Visitors are welcome every day of the week. Come see our residents and friendly staff in action. Feel free to contact us to learn more about the unique, sophisticated healthcare environment at Rocky Point Care Center. RN’s are on duty and on site 24 hours/day.